Our NLP Coaching and NLP Course will give you the tools, skills and practice you need to develop your coaching skills. It has something for anyone who wants to succeed as an effective coach in a professional environment. Our individual 1:1 NLP Practitioner training has a very high coaching element and will introduce you to the impact of successful coaching. Our NLP Coaching Course provides exciting new avenues to use your skills to help others establish and reach their goals. You may want to set up a coaching practice, or you may want to develop your skills as a coach in a corporate or managerial context – this can be in the context of colleague, boss, or friend. This NLP course will provide a very strong base for coaching success. It is part of our suite of company-based courses and is designed for people want to be an effective coach in a professional environment. During this course you will develop an extraordinary ability to coach your staff, colleagues and other clients. This will lead to ‘bottom line’ benefits and greater satisfaction for you all. Some participants find that this course provides a opportunity to consider exploring new career paths. Combining this course with other master practitioner modules such as the Leadership NLP Course and the Sales NLP Course will dramatically increase your effectiveness. This course provides exciting new avenues for personal development and self-discovery. Successfully coaching others can lead to tremendous satisfaction and personal development. It can lead to highly profitable career opportunities. 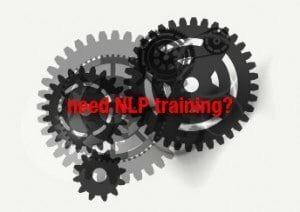 Why NLP executive coaching works. Clarify your own coaching goals and ambitions. Learn how coaching helps clients achieve more exciting goals. Help your client to understand their values and what’s important to them. Work with your client to identify any ‘blocks’ in achieving goals and come up with a variety of ways to remove them. This master-class and the accreditation process is for people with NLP practitioner accreditation, who are committed to reach even further for heightened human excellence. As with all NLP courses available through PPI Business NLP, you will find a safe environment to open your mind, and explore and practice new approaches and techniques. This course requires that you commit your attention and energies fully; people who aren’t able to commit will limit their own potential with NLP, and hinder the growth of other participants.